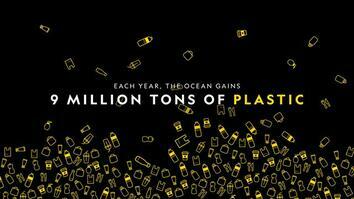 Every year five million to 14 million tons of plastic flow into the oceans from coastal areas. And every time you brush your teeth, wash your face, or take a shower, you could be sending more microplastics down the drain. As if that weren’t bad enough, inhaling particulates like microplastics has been linked to heart disease, asthma, and cancer. To avoid microplastics in your beauty regimen, check out this video to learn how to interpret a product’s ingredients label. This story is part of Planet or Plastic?—our multiyear effort to raise awareness about the global plastic-waste crisis. Learn what you can do to avoid single-use plastics, and take our pledge.